We thought we would share some of our favorite recipes with you. Most are made with natural ingredients and many are low carb where indicated. I'd like to say that these recipes feature products of our farm, but there is just so much you can make with blueberries and fire wood! 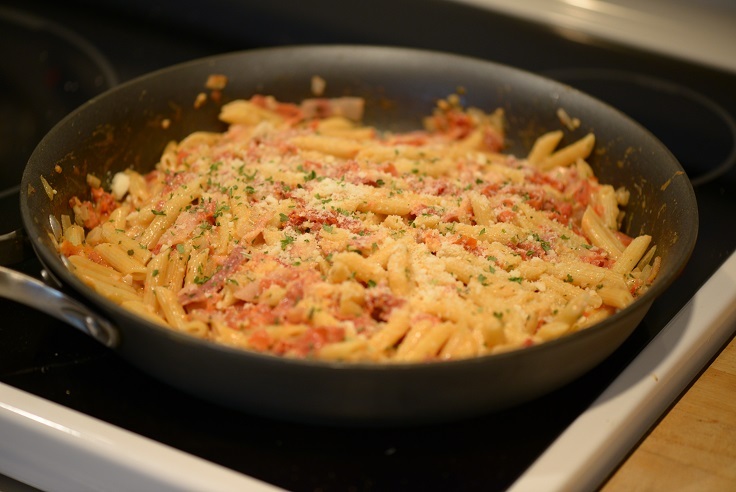 Penne with Pancetta and Sun Dried Tomatoes - This is a family favorite. Despite it being a pasta dish it is fairly low carb if you use Dreamfield penne. If you are not concerned with carbs, use the pasta of your choice.